History has shown that governments always inflate the money supply if given the chance. This is why the Founding Fathers believed the state should be deprived of currency-creating power, and believed America should be on the gold standard. In 1952 the United States had gold reserves of 20,663 tons --- which is almost half of the gold that had ever been mined in the history of the world up until that time. But today, America's gold reserves are reported to be only 8,134 metric tonnes. So what happened to all of America's gold? More than half of it has been sold off. Although America still holds the world's largest gold reserve, it is only half the level it was in 1952. People who say it is impossible are wrong. We could easily return to a gold standard, and use gold and silver as money, just as every civilization has done throughout history. The benefit of a gold standard is that a fixed asset backs the money's value. It provides a self-regulating and stabilizing effect on the economy. It discourages inflation as well as government budget deficits and debt. A gold standard also rewards productive nations. They receive gold when they export, so with more gold in their reserves, they can issue more gold-backed money. This boosts investment in their profitable export businesses. Historically, the gold standard helped propel the Gold Rush in California and Alaska during the 1800s, which led to the settlement of important new territories. 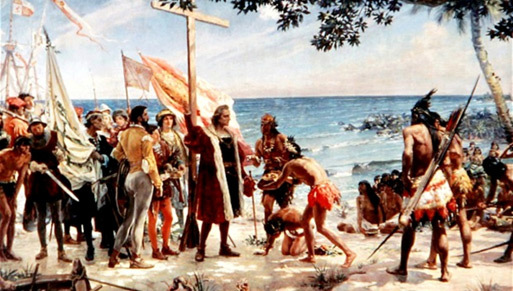 The gold standard also spurred exploration, and was one of the main reasons that Spain and other European countries discovered the New World in the 1500s. They needed more gold. Under a gold standard, countries with their own gold mines are potentially at a competitive advantage. America enjoys vast areas which are rich in gold deposits, such as Nevada. We continue to be one of the largest gold producers in the world. Although the US government claims to hold about 8,134 metric tonnes of gold, it is less than half of what it used to hold after WWII. There has also been no independent audit of US gold reserves in recent history, leading some to doubt the accuracy of what the US government is reporting. 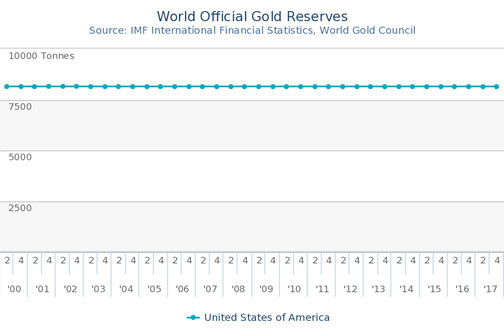 Just look at how low our gold reserves have fallen in the past 70 years. 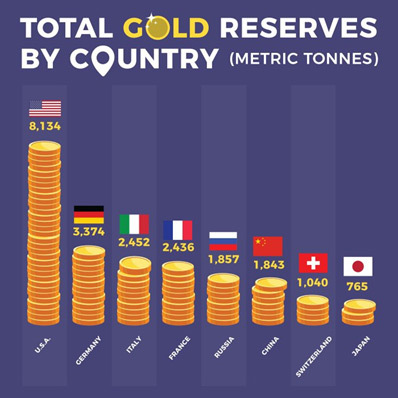 Many countries are adding to their gold reserves, and several are even repatriating their holdings. In January 2013, the German central bank (Deutsche Bundesbank) announced plans to repatriate 300 tonnes of its 1,500 tonnes of gold from the US and 374 tonnes from France by 2020. Germany wants to have at least half of its official gold reserves stored in Frankfurt. The gold in the US was earned by West Germany through trade surpluses in the 1950s and 1960s and was never moved out of the United States due to fear of invasion by the Soviet Union. 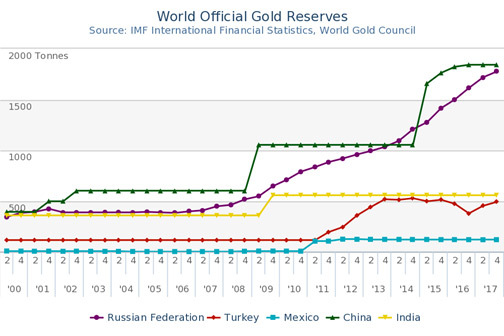 Many other countries are ADDING to their reserves --- like China and Russia. America should not only hold more gold than it currently does, it should produce more too. Right now, China produces almost twice as much gold as the US does. China has held the top producer position for over a decade. The US has now been surpassed by Russia, too. This is sad, considering the vast untapped gold resources the US has. The United States is estimated to have some 3,000 metric tonnes of gold reserves in its mines. 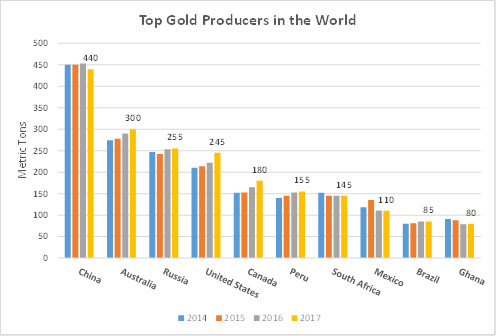 America could encourage more US-based gold companies to bring US-gold into production, and reclaim our place as the world's top producer. The Chinese are increasingly controlling the global price of gold, all in order to keep the price down so they can increase their reserves as cheaply as possible. While America is busy selling its gold, countries such as China and Russia are buying gold from other countries while curbing their own gold exports. The Chinese gold market is the world's largest physical gold market. It is also one of the world's most protected gold markets given that the importation of gold into China is still strictly controlled by the Chinese authorities, and the exportation of gold out of China is generally prohibited. In 2016, China net imported an estimated 1,300 tonnes of gold, and Chinese gold mines produced an estimated 455 tonnes of gold. The Chinese and the Russians are accumulating gold while America is a net exporter. In 2017 America produced 245 metric tonnes of gold while it exported 480 metric tonnes. 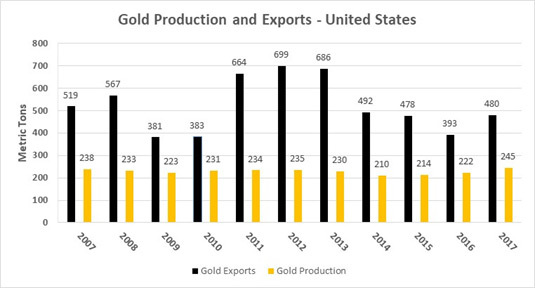 America's gold exports have been significantly higher than its gold production for decades. Since 2011, The United States exported the majority of its gold to only four countries. US gold exports from 2011 to 2017 were 3,749 metric tonnes in total and the top four importers were the IMF, Italy, France and China. If America stopped exporting its gold and began increasing its official reserves, it would cause an immediate price spike, which would be good for US gold explorers and producers. China is buying all the gold that it can while accumulating gold assets in countries all over the world - mostly in Africa and South America. And in Russia, the mining laws are designed to enable the Russian government to take majority ownership of large deposits of "strategic" natural resources. Currently gold is considered a strategic metal, and Russian law gives the government pilfering rights on any deposit with resources over 1.6 Moz. If history tells us anything, then one day America may find it necessary to return to its roots, and restore its currency to a gold standard. If it does so, it will regain its position as the world's top producer and holder of gold assets, and the price of gold will soar.